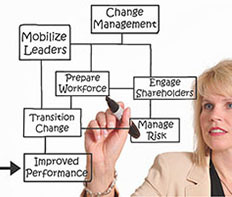 We can all read the theory but what does a good change management process actually look like? A good change management process has a sequence of steps that, when followed, will make implementing the change seem effortless. The process will guide you through engaging the right stakeholders at the right time and with the right information to ensure the success of your change initiative. The process will also lead you through post implementation follow up to embed the change within your organisation. A well considered change management process is also scalable based on the size of the change impacts. However, regardless of the size of the change impacts the change management process should follow the same process steps. What you will find is that a low impact change will use short form documentation and will more likely have informal stakeholder engagement processes, where a high impact will involve more formal and complex documentation and increase the robust nature of your stakeholder engagement processes. The first step in our change management process is identifying and assessing stakeholders. With all change you should start by identifying your stakeholders and assessing their engagement in or their commitment to your change, it is also a good idea to determine who on your project is responsible for managing each stakeholder relationship. During this conversation you should also ask each stakeholder to review your list of stakeholders to identify anyone you may have missed. If you have assessed a stakeholder’s level of engagement for the change as low then you will also list actions that will be taken to lift the stakeholder’s level of engagement. In your stakeholder analysis don’t forget to consider people who are not impacted by the change but might be interested in the change, this will often include managers of other areas of your business. Change Management Process Templates: Get your expertly prepared Stakeholder Analysis Template, (PDF), today! The second step of our change management process is assessing the impact of the change on your organisation and its stakeholders. All changes will impact some part of your business, identifying and managing these impacts forms the foundation of all future change management actions. The impact assessment will identify and record all of the change impacts from your project including all upstream, downstream and indirect impacts. The ideal way to assess the change impact is in a workshop with representatives from all of the areas of the business that maybe impacted by the change. However if the change impact is small then you can easily complete an impact assessment by talking to subject matter experts and Business Analysts. The resulting impact assessment document should be circulated broadly for review. 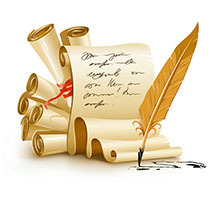 Tip: I meet with all stakeholders to review the change impact document. I meet one on one for small changes with narrow impacts or in groups for larger changes or changes with broader impacts. During the impact assessment workshop it is also a good idea to map out how you will measure the success of the change. These measures will form the basis for your embedding and sustainability measures. 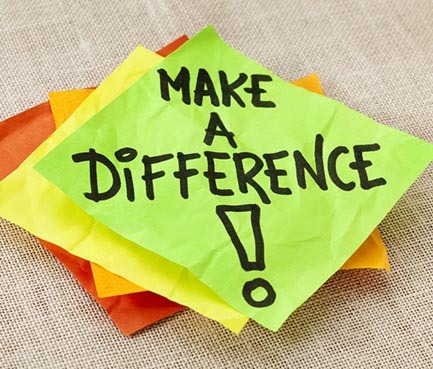 In addition to mapping out the change impacts you will find that stakeholder participation in identifying and reviewing the impact assessment will improve stakeholder engagement. Tip: If the change is complex and/or stakeholder support is below where it needs to be a workshop would be ideal, as a workshop will assist you with stakeholder engagement more than other approaches. Get your expertly prepared Impact Assessment template, (PDF), today! The third step of our change management process is to identify the change communications requirements and developing a plan to skill all impacted parties in the change. Communication plans are a normal part of project management. You will find that all well managed projects would have a communication plan. One of the key differences between competent change managers and less competent change managers is the amount of communication that they do. Some people thinking sending and email or putting information on the intranet is communication. Good change management involves a lot of formal and informal communication where great change management includes verifying that the communication has been received and understood. Your communication plan should be “the projects communication plan” you will update this plan with the thorough communication that a change manager would do. 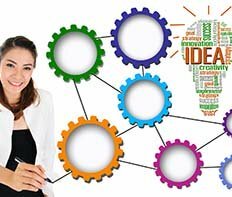 To develop your communication plan consider existing communications within the organisation, meetings, presentations, road shows, stand up, team meetings, newsletters and determine if you can tap into these communication channels or if you will needs to establish your own channels of communication. Then you will develop your training or coaching plan that identifies how the required knowledge will be imparted to the people who need the training and how people will be supported to convert this new knowledge into an ability to do the job so that they can become proficient. Get your expertly prepared communication plan template, (PDF), today! 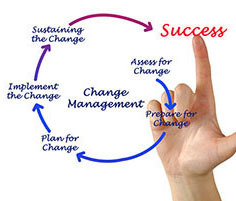 The fourth step of our change management process is to identify and agree the implementation approach for the change. The implementation approach describes the sequencing of the implementation including the business readiness activities, go / no go decision points and the resources required to support each implementation. On the first day of a change it is unreasonable to expect 100% of employees to have adopted the change (This is referred to as utilisation) and unreasonable for everyone who has embraced the change to be 100% proficient in the change. With this in mind you should set targets for utilisation and proficiency and determine how you will measure progress to 100% utilisation and 100% proficiency and how long you think this might take. The fifth step of our change management process is to determine the degree to which the business is prepared for the change. 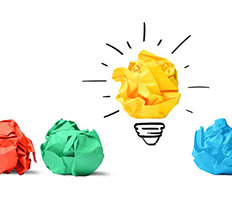 Business readiness is a way of determining how well prepared the business is for the change. Business readiness normally includes some sort of employee self-assessment of their confidence that they are ready for the change. Are they equipped to measure the change is embedded and is sustainable? Can the leaders articulate the purpose for the change and how it contributes to the business strategy? Are the leaders supportive of the change? If the structure has change, is the new structure in place, communications complete and stakeholders informed? Have any required new roles been agreed? Have FTE calculations been completed? Are additional FTE in place? Are the new/modified performance expectations in place? Are there any outstanding issues or uncontrolled risks to do with the change? Have all change impacts been identified and addressed? Have policies, procedures, work instructions and training materials been updated? Has a BAU business owner for ongoing maintenance of artifacts been identified? Are you aware of the change? Do you feel confident that you can do your job on day one of the change? Do you have sufficient support available post implementation to ensure you are successful? Of course there will be circumstances where the readiness assessment identifies area where more work is required prior to go live, this is normal and provides an opportunity to take corrective action. The sixth step of our change management process is to ensure, post implementation, that the change is embraced by all impacted parties and they are able to meet all KPI's. Post implementation you measure the uptake and proficiency of staff with the change. This is called embedding the change, as it is likely that you will identify areas where not all employees have adopted the change and not all employees are proficient (not meeting targets) after the change. Embedding is the process of identifying gaps and taking corrective action to get all people utilising the new methods and proficient in their work. Once all employees are proficient then the challenge is to ensure the change sticks, which may require further measure to be taken over a period of time to confirm the change has stuck. When completing your embedding measures, which you identified during your impact assessments, you will firstly assess the number or percentage of employees who are utilising the change compared with how many are still using the old way. This assessment is often completed through audit or observation. It is also good practice to ensure staff can access up to date work instructions, procedures of policies as part of your embedding measures. Where utilisation or proficiency do not meet expected targets the change manager will take remedial action through resistance management, training, coaching or other support to lift performance to expected levels. The final step of our change management process is to ensure the change did not have an unintended negative impact on the business. Business sustainability is measured sometime after implementation with the goal of ensuring the business is not adversely affected by the change, you will ensure the change did not have an unforeseen negative consequence for the business. Sometimes an organisation will also require some level of change strategy to be agreed and signed off prior to releasing the full funding for a project, in which case you will need to provide a document outlining the proposed approach the change manager will take to ensure the change is smoothly implemented, adopted and transitioned to BAU.